Imagine if Texas elected Bernie Sanders as governor and the State Legislature was dominated by the Socialist Party. That’s more or less the situation in Alberta, home of the Canadian oil sands, which Tuesday elected Rachel Notley and the NDP. Bernie Sanders is a self-proclaimed democratic socialist and the junior senator from Vermont. The oil sands are the third biggest oil reserve in the world and production is slated to double over the next 15 years. Much of that output will be refined on the Gulf Coast as supplies of heavy crude from Venezuela are re-directed to the Chinese market. 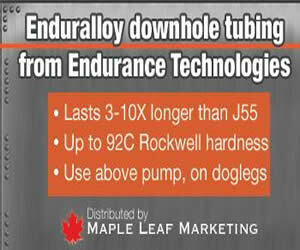 The Canadian industry, which is tightly integrated with the American industry, is centred in Calgary. And many American energy leaders, including Ryan Sitton of the Railroad Commission of Texas, are on record arguing that Alberta crude oil is an important part of the American “energy renaissance” as the United States prepares to battle the Saudis and other OPEC producers for control of global energy markets. So an avowedly socialist party in control of the Alberta oil sands might give many Americans – particularly in Texas – cause for concern. Alberta conservatives are certainly not happy today! 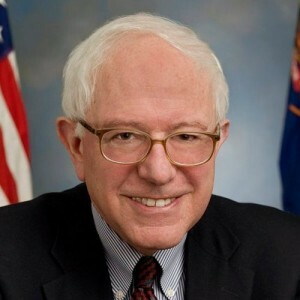 Just how concerned should Americans be that the socialist hordes are in control of regulating and taxing most of the Canadian oil and gas industry? 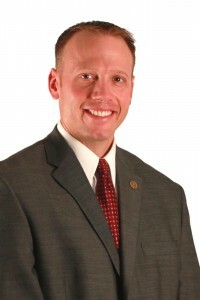 Ryan Sitton, Texas Railroad Commissioner. 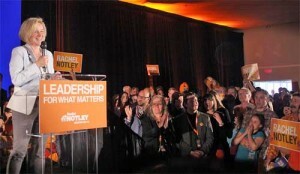 It depends upon which version of the NDP takes power in Edmonton, the provincial capital. The New Democratic Party was founded in 1932 as a socialist party called the Canadian Commonwealth Federation under the leadership of Baptist preacher Tommy Douglas, who became the first CCF premier when his party won in Saskatchewan (Alberta’s eastern neighbour) in 1944. Douglas brought in Canada’s first socialized medicine scheme in 1961, and created many government-owned corporations to supply electricity, natural gas, and other services. During the 1970s, rebranded as the NDP, the party nationalized a number of resource industries, including potash and uranium. After spending the 1980s out of power, the Saskatchewan version of the NDP returned in 1991 as a middle of the road, centrist party led by Roy Romanow. The Saskatoon lawyer raised taxes a little, cut government spending a little, tweaked labour laws, and rescued public finances from near bankruptcy. If Notley is a new version of Romanow, instead of a fire-breathing union supporter like NDP leaders in other provinces, then the Alberta energy sector can breath easier. Early indications are positive, but there were a few worrying signs during the election campaign over the past month. Notley mused at one point that if she formed government, Alberta would no longer bother lobbying on behalf of the Keystone XL pipeline, something her predecessors Alison Redford and Jim Prentice did with enthusiasm. She pointed out that the project is hopelessly ensnared in American domestic politics and nothing will change until after Obama leaves office. Notley also said she would withdraw Alberta support for the Northern Gateway pipeline to the West Coast, which has been approved, but is held up because of ferocious opposition from environmentalists and First Nations. Rachel Notley, Alberta NDP leader and premier-elect. I agreed with her assessment of the two projects, but noted in a widely read column that they represent 1.35 million bbls/day of transportation capacity and asked how she planned to get that oil to market? Oil by rail is one option. Other pipeline proposals are also floating around. Notley didn’t respond to the public calls for clarification, which is a bit worrisome. Calgary energy executives will be waiting with interest to see how her government handles the pipeline issue. Another contentious policy platform is Notley’s call for a review of Alberta’s oil and gas royalty regime. Under the Canadian Constitution, provinces own the natural resources within their boundaries. Alberta Premier Ed Stelmach, a Progressive Conservative, tried to raise royalty rates in 2007, but the combination of a backlash from industry and the onset of the Great Recession forced him to backtrack to basically the old system by 2010. In a column this week, I interviewed two economists who laid out the pro and con arguments for a royalty review. Even if Notley does hold a review, there is no guarantee she will raise rates, especially given the current state of oil prices. Nevertheless, calls from within her party for more revenue from the oil and gas sector is making executives nervous. 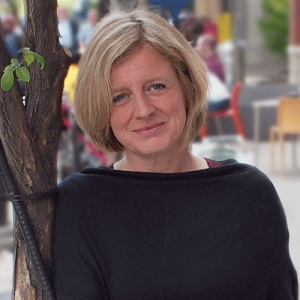 Finally, Notley is not a big fan of hydraulic fracturing. The issue wasn’t addressed during the campaign, but three-year old comments expressing her concerns about fracking have been making the rounds on social media. 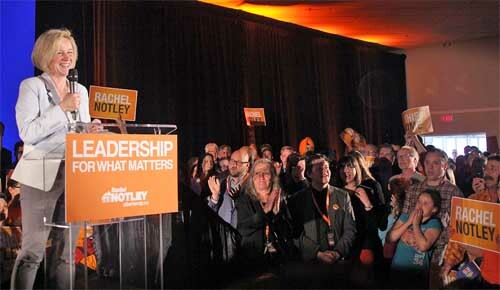 Rachel Notley speaking to supporters after her party won 53 of 87 seats in the Alberta legislature Tuesday. Rachel Notley is not a friend of the oil and gas industry. But she also appears to be a sensible politician who is on the record saying she understands how wealth and jobs are created and she has no plans to make life difficult for energy companies. Notley’s reassurances haven’t prevented some energy analysts from panicking. Energy stocks tumbled on Canada’s biggest exchange, the TSX. That remains to be seen. The likelihood is that the Chicken Littles will calm down once they get to know Rachel Notley and assuming she is true to her word about everything being A-OK in Alberta. Energy companies will probably learn to live with a Rachel Notley government just as they have adapted to NDP governments in other provinces. But there will be anxious moments until the new premier clarifies where she stands on her campaign promises and other issues of concern to the Canadian oil and gas industry. The sky is not falling in Alberta. Yet. 5 Comments on "Explaining Alberta’s new socialist government to Texans"
Well Markham, it’s odd that you wrote 1027 words about Alberta’s new government and what it means for our oil and gas industry, yet you never once mentioned climate change, nor the accelerating train of fossil fuel divestment. You know that HSBC Bank recently advised their investors to get out of fossil fuels, right? You know that Bank of England Governor Mark Carney has affirmed the risk of fossil fuel assets becoming stranded and worthless, right? You know that the serious risks of climate change, already addressed by the US Navy, the OECD, and the International Energy Agency, is now being highlighted from a moral perspective by the Pope, right? Nice article. Too bad about the 1990s perspective, however. And if you read more of my columns instead of slagging this one, you’d understand that I also report extensively on renewable energy and have what I think is a pretty reasonable analytical framework that explains how and at what pace we’ll transition from the Age of Fossil Fuels to the Age of Renewable Energy. I always encourage smart, fact-based debate. But if you’re just going to troll our comments section, perhaps you’d be better off reading Greenpeace press releases. You’ve got a funny way of measuring zero. 2012: 350.org launches the ‘Go Fossil Free: Divest from Fossil Fuels!’ campaign across the country, calling for institutions to disinvest from fossil fuel companies. December 2012: The city of Seattle commits to divest its daily operational budget, followed in 2013 by the cities of Berkeley, Calif., Boulder, Colo., Ithaca, N.Y., Truro and Provincetown, Mass., Providence, R.I. and Portland, Or. Stanford University has divested from coal, and the British Medical Association from all fossil fuels. Bank of America announced this week it will no longer finance coal mining. The Rockefeller Foundation committed to divest its $4.2 billion in assets away from fossil fuel companies. A few days later, the Church of Sweden announced its complete divestment. There have been over 180 commitments by cities and institutions to divest, more than double the commitments as of January this year. But you write this off as inconsequential. I don’t follow your math. What you’re missing, Roger, is what actually happened in Copenhagen. So what was supposed be a dire warning was instead a starter’s pistol in a race to catastrophe. And along with damage to the climate, it’s going to do economic damage: if we slam on the brakes at the finish line, billions of dollars in investment will never be recouped. Sounds like Greenpeace, right? In Canada, maybe the Pembina Institute? Rocky Mountain Institute or the NRDC, in the US? But when we find out it was Saudi Arabian Oil Minister Ali Al-Naimi, we might want to take a clue that the world is changing. Three months after that speech, he announced a $109 billion investment in solar PV, in order to create 41, 000 MW of solar in 20 years.